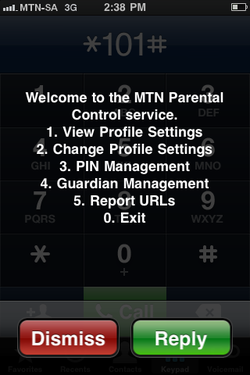 For further help you can go to the MTN website section on parental controls - click here. 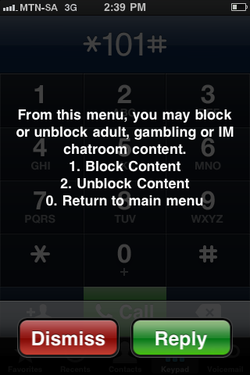 Please note that this feature does not work on BlackBerry phones at present. 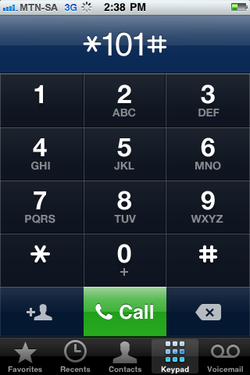 Simply dial *101# from your child's MTN phone and follow the steps. Is your MTN phone an Android phone? If so then you need stronger protection - check out Mobicip now. Step 2 - select 2 "change profile settings"
Step 3 - select 1 "block content"